The Largest Real Estate School in Texas! Choosing a career in the Real Estate industry is the first step to an exciting and eventful path to success! Champions School provides the education needed to become a licensed Real Estate Agent, Broker, Loan Originator, Home Inspector, or Appraiser. Successful Tendencies of Real Estate Champions. Interviews with Real Estate Industry Top Producers. Why do the majority of Realtors in the state of Texas choose Champions School of Real Estate as their preferred education provider? It's simple! From the moment you start your education with Champions, we become an extension of your team by serving as a dedicated resource and providing you with the educational tools you will need to succeed in your new found career! We make it easy and convenient! Everything you need to know about our flexible delivery method options! 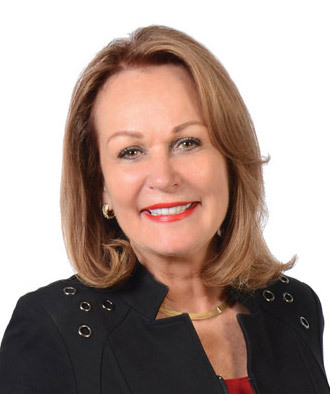 Watch the latest Video Updates with Champions CEO, Rita Santamaria! Champions has physical campus locations across the state of Texas! Answers to the most frequently asked questions from Champions students. Earn your Texas Real Estate Sales Agent license in 5 simple steps! Champions offers everything you need to ensure success! 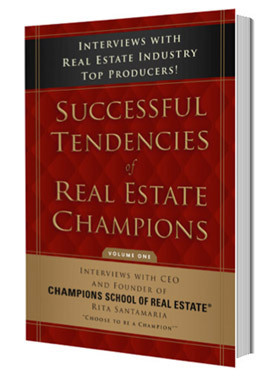 Champions School of Real Estate® has been providing top tier Real Estate license education for over 35 years! Champions School of Real Estate® is proud to be the premium Real Estate School in Texas! We have provided unmatched, TREC approved (Provider # 0005/530) Real Estate licensing classes to both aspiring and seasoned Real Estate professionals including Sales Agents and Brokers, Mortgage Loan Originators, Home Inspectors, and Appraisers since we opened our doors in 1983! Thanks to our seven campus locations across Texas, convenient online and live broadcast delivery options, and our reputable Exam Prep classes, we are equipped to help anyone who is seeking an exceptional Real Estate Education regardless of schedule or location. You can do it, we can help! The National Weather Service has issued a winter storm warning for central and southern Texas. Check the following list of campuses for updates. Don't let your Real Estate license lapse. Within the first two years of gaining your Real Estate Sales Agent License, you are required to complete 98-Hours of Sales Agent Apprenticeship Education courses. This program includes three 30-hour elective courses and 8-hours of Legal Update credit for only $495 - you'll save $80 and complete your SAE requirement. Textbooks are included and may be picked up from a campus or shipped to your door for an additional $8 per book. Great for both residential and commercial agents! Program includes TREC Legal Update 1 and 2 courses (8-hours), Strategies for Career Excellence (8-hours), and Technology Update (2-hours) to complete your 18-hour CE requirements. With our 394-Hour Professional Inspector Program, we provide you with all the required education to become a licensed Professional Inspector in the State of Texas. This program consists of 330-hours of online/correspondence coursework, two 20-hour Inspector Ride Along sessions and a 24-hour classroom Interactive Experience Lab. The program also includes our Inspector Exam Prep course which can be taken as many times as needed for 1-year. Completion of the below courses will meet the educational requirements required to get your Licensed Residential Real Property Appraisal license. This includes the required 4HR Supervisor Trainee course. Applicants for a Residential license are required to have a minimum of 30 college semester units or Associates degree.